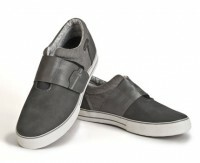 We carry a wide range of DZR SPD sneakers, including the H2O waterproof bike shoe. Avoid the duck-walk that so often accompanies daily clipless pedal use. DZR clipless-compatible shoes give you enough stiffness in the sole to ride your clipless pedals with assurance, and enough toe and heel flex and style to wear them all day.